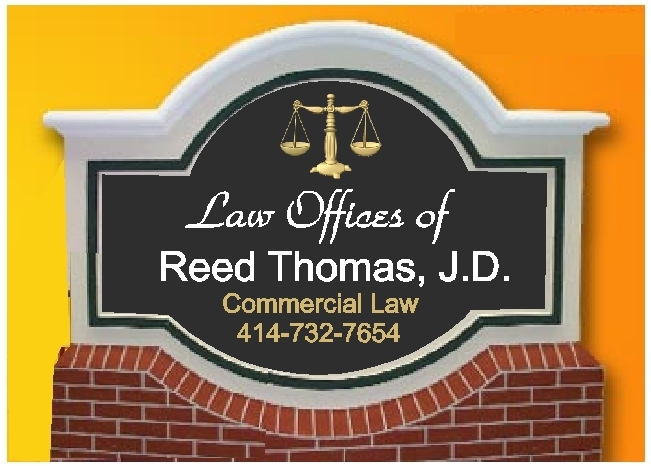 Simple, dignified EPS Foam monument sign for law office. Carved 3D Scales of Justice gold-leaf gilded, lettering can be engraved or raised on HDU. Wide variety of shapes, sizes, rock, brick and marble surface textures. Ships anywhere in USA or Canada and installs in only a couple of hours. See Product Line 6 for other models.